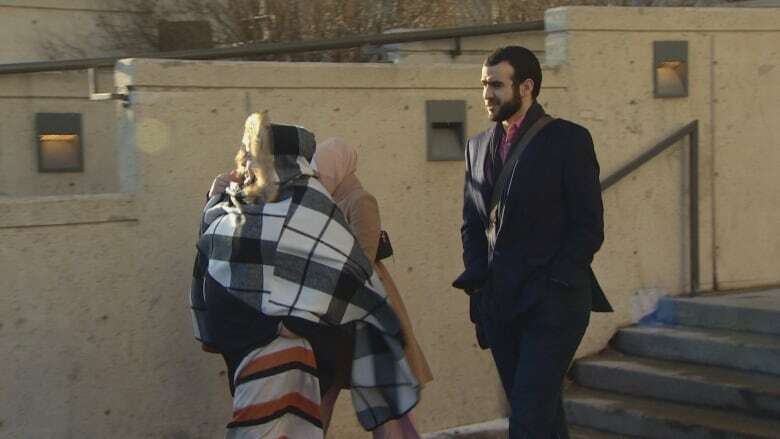 An Edmonton judge has denied former Guantanamo Bay detainee Omar Khadr's request to have his bail conditions eased. 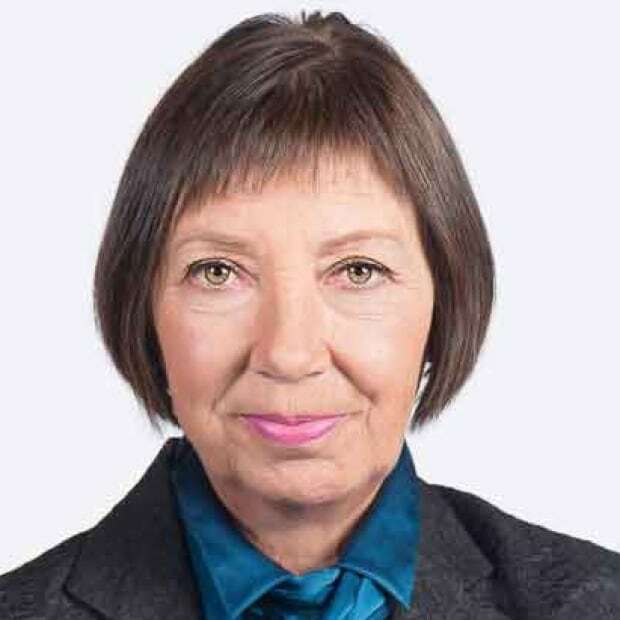 There's no evidence of hardship or that the conditions are needlessly onerous, Court of Queen's Bench Justice June Ross said Friday. She said nothing has really changed since the last time Khadr asked for changes to his bail conditions and the restrictions he faces are "reasonable" and "standard." Ross said her decision is not etched in stone and conditions could change in the future. "Based on all of the evidence I have seen, Mr. Khadr is not a flight risk or a risk to public safety," Ross said. "Nonetheless, it seems to me it's reasonable to make sure the courts are kept up to date on his whereabouts and activities. "The public would expect we have up-to-date information about his whereabouts," Ross added. "They would expect reasonable travel restrictions." Khadr, 32, has been on bail since May 2015 pending an appeal of his conviction by a U.S. military commission on alleged war crimes. The appeal has stalled, so Khadr has no idea how long he will be on bail. Khadr didn't speak to reporters after Friday's ruling. "We're going to review the decision and consider our next steps," his lawyer, Nathan Whitling, said outside court. Whitling said it's not fair that Khadr's life remains restricted by a stalled U.S. court process with no end in sight. "His case is different because of the extraordinarily long time that he's been on bail ... because of the extraordinary delays that have occurred with his foreign appeal," Whitling said in an interview. Khadr wanted to be able to travel to Toronto without the approval of his bail supervisor to visit his family more easily and to make court appearances related to a civil lawsuit filed by the family of an American soldier killed in the Afghanistan firefight in which Khadr was captured in 2002. He also wanted unsupervised conversations with his sister and a Canadian passport so that he could make the hajj to Mecca in Saudi Arabia. The Islamic religious pilgrimage is considered obligatory for practising Muslims. Currently, he must contact his bail supervisor if he wants to leave Alberta. He can only talk under supervision to his sister Zaynab, who has spoken in favour of al-Qaeda and was investigated in Canada more than a decade ago for helping the terrorist network. Khadr said his sister now lives in the country of Georgia. Whitling said his client has lived quietly for years, is happily married, follows bail conditions to the letter and poses no threat. Khadr's affidavit says he has been to Toronto eight times without issue since the conditions were imposed. In support of the application to ease bail conditions, Whitling submitted a letter from Brooklyn, N.Y., psychologist Katherine Porterfield. She has been in regular contact with Khadr since his detention as a teenager at Guantanamo Bay. Porterfield believes Khadr's mental health is suffering due to the ongoing nature of his bail conditions. "He has recently experienced some depressive symptoms, as well as an increase in his symptoms of PTSD," Porterfield wrote. "Specifically, [he] is manifesting a foreshortened sense of future and a return of symptoms of hyperarousal and re-experiencing of memories of prison." The psychologist's opinion is that Khadr's "legal limbo" is triggering memories of the time he spent as a teenager in Guantanamo Bay. Ross called Khadr's feelings "understandable," but said they don't change the fact that he has not served his sentence for crimes to which he pleaded guilty. "Bail cannot provide an alternative way to serve his sentence," Ross said. This is Khadr's latest of several attempts for relaxed bail conditions. In 2017, a judge denied most of his requests. When Khadr was captured, he was 15. He says he can't remember killing a soldier. He says he only confessed to the crime to get out of Guantanamo and into the Canadian justice system. In 2010, the Supreme Court ruled that his rights were violated while he was in captivity in the U.S. and that the Canadian government had contributed to that. Khadr settled a lawsuit against Ottawa in 2017 with a $10.5-million payout. Khadr's lawyer hopes to replace his client's indefinite bail situation with parole, since parole could include a definite end date. The parole board has refused to grant Khadr a hearing because he is not in custody. Whitling asked Ross to sign an order that would revoke his bail at the start of a parole board hearing, and reinstate it if the parole board deferred or denied the request for parole. "Such decisions should not be made based on future hypothetical circumstances that may or may not occur," Ross said, adding that if a parole hearing is scheduled, Whitling can bring forward the application again.